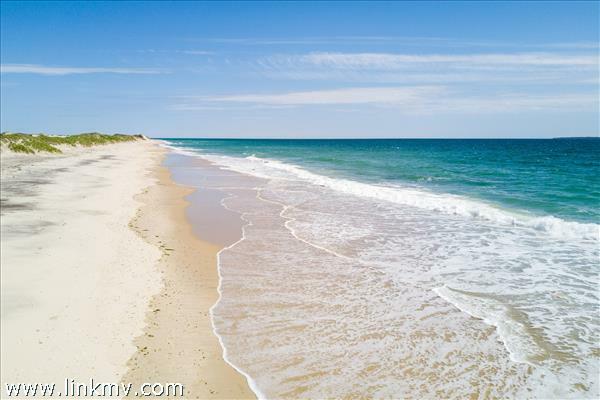 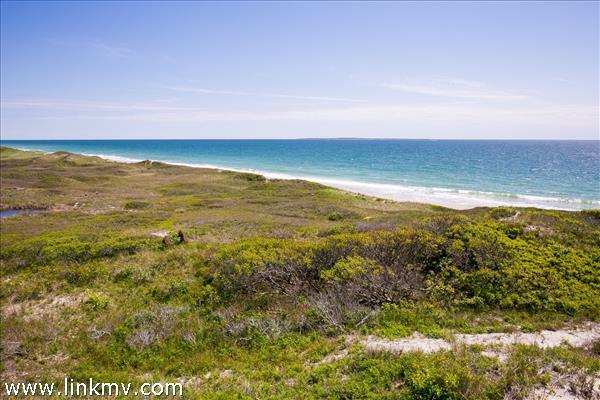 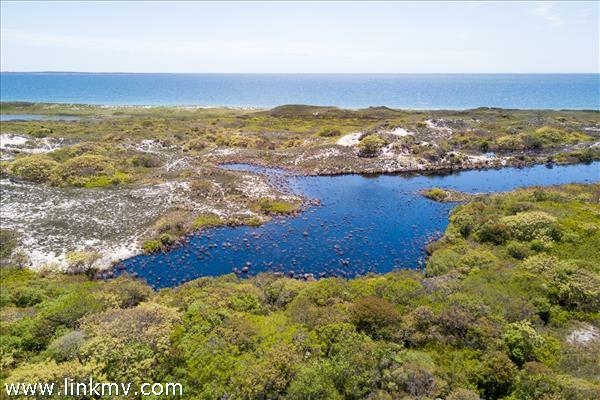 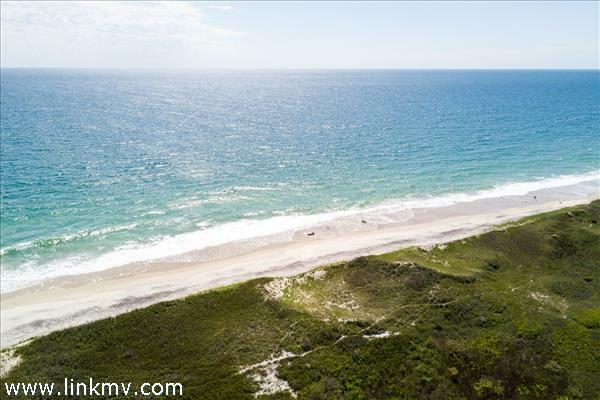 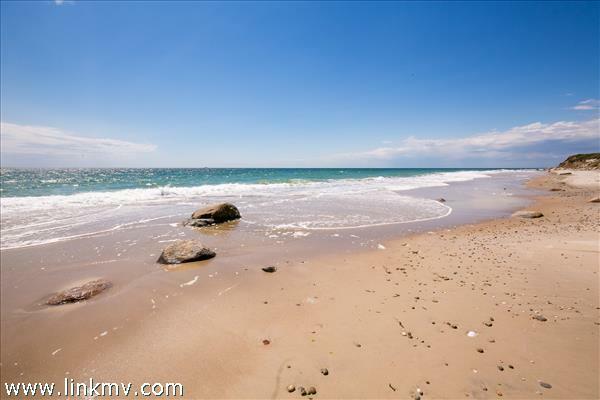 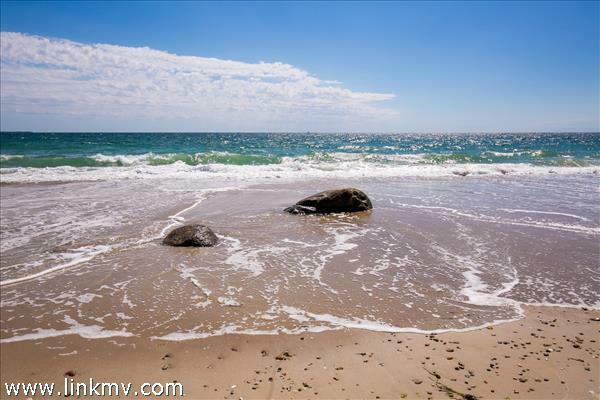 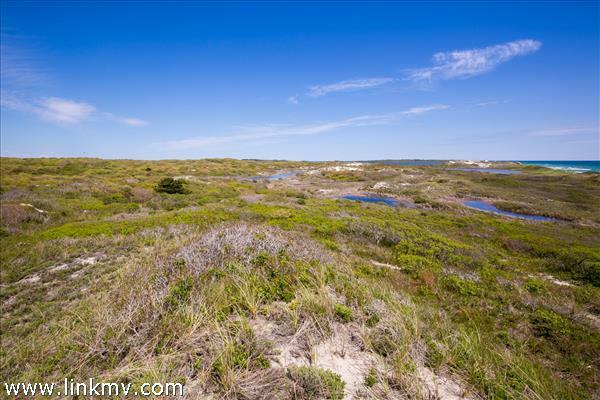 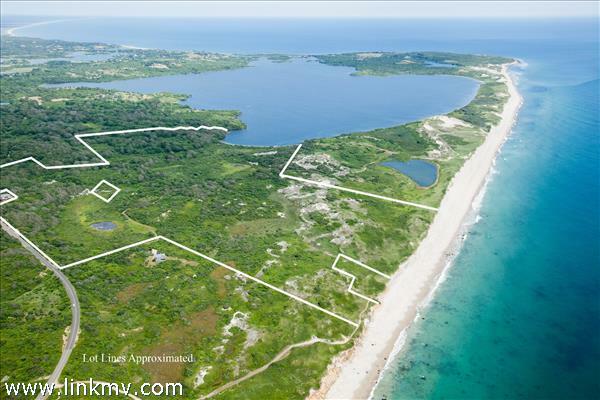 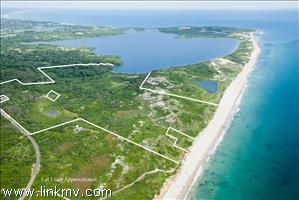 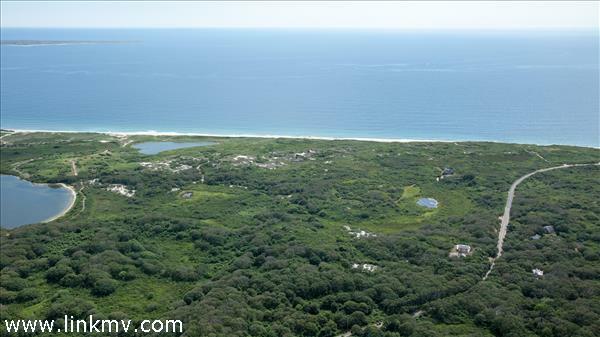 Offering priceless peace and privacy on the Aquinnah coastline, this rare and pristine 97.63±-acre oceanfront haven sprawls across 1,060± feet of exquisite dune-fringed sandy beachfront and also fronts another 1,100± feet on picturesque Squibnocket Pond. 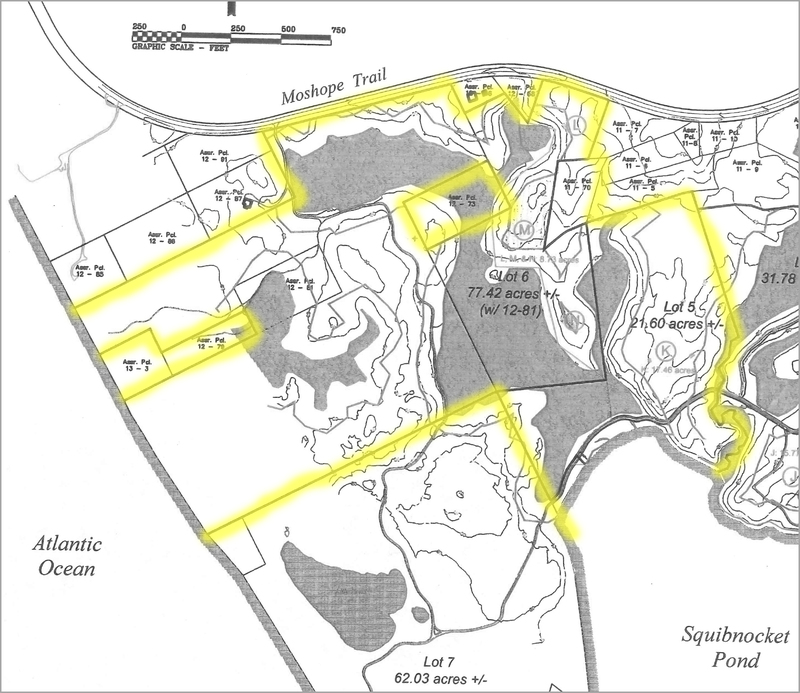 Held by the same family for nearly 40 years as part of Red Gate Farm, the vast acreage gives the sense of a world apart in an idyllic landscape which has remained virtually unchanged over the centuries. 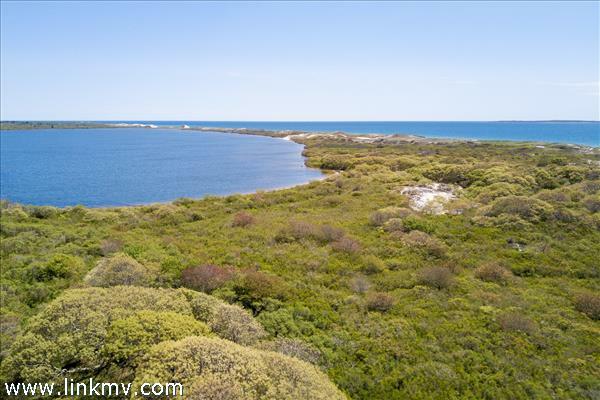 Perched atop various ridges, the potential homesites command glorious views to the ocean’s brilliant blue waters and sunsets, also seen from across the pond, in the midst of this sublime seaside paradise of pastoral coastal heathlands and high dunes. 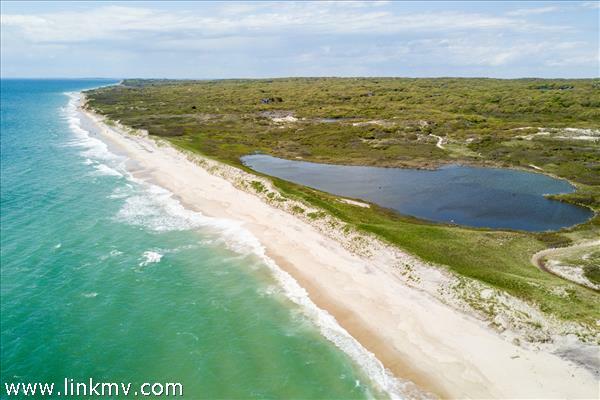 Trails meander through the lush age-old landscape of iconic beetlebung, oak, and beech trees in the splendid solitude of this truly extraordinary property, a natural habitat for abundant wildlife. 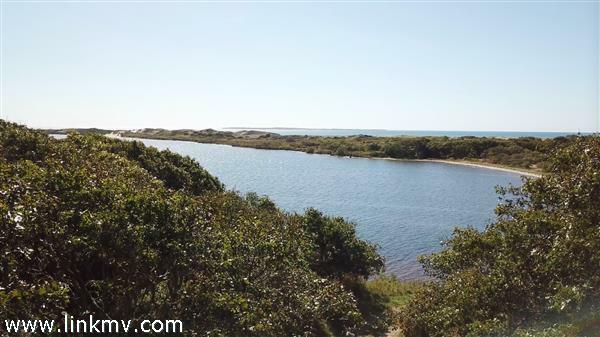 The pond offers a water sports oasis for kayaking, canoeing, sailing, and fishing. 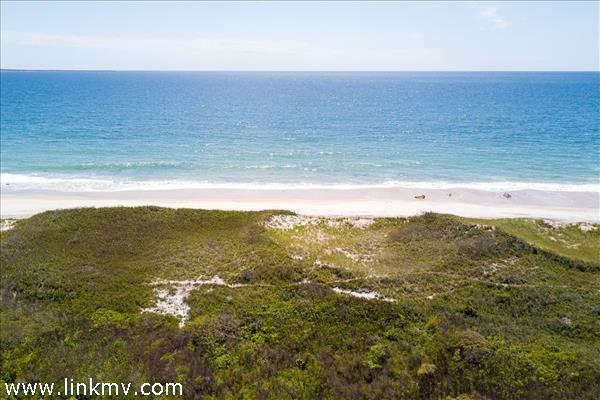 © Copyright 2019 - LINK, Inc.